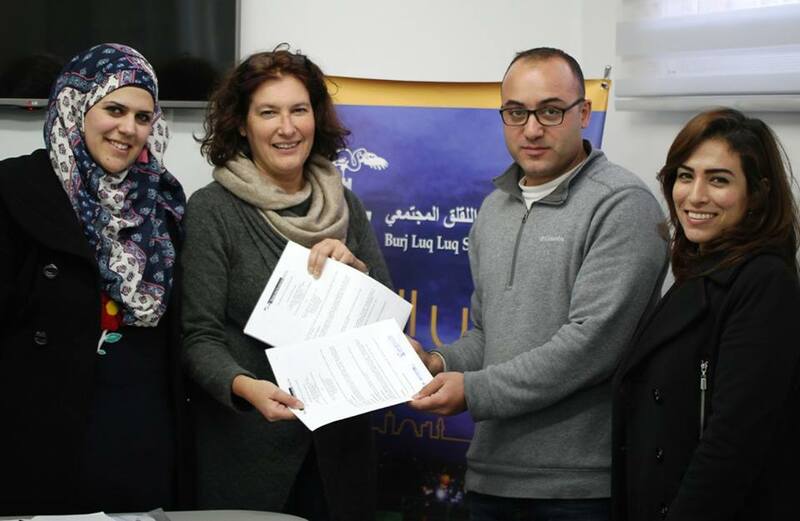 Burj AL-Luqluq Social Center signed the contract of renewing SAD project that supports the residents of Bab Hutta and the Old City in cooperation with Terres Des Hommes for. The project was renewed for one year after wrapping up the previous project that targeted 100 children from the Old City. SAD idea was initiated by Terres Des Hommes through collecting donations for beneficiary children and providing them with a school bag in addition to organizing open days and recreational activities in the center.